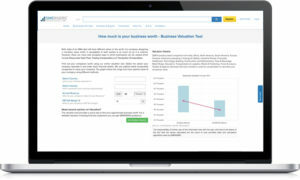 Smergers is a company that provides investment banking for small and medium sized enterprises. 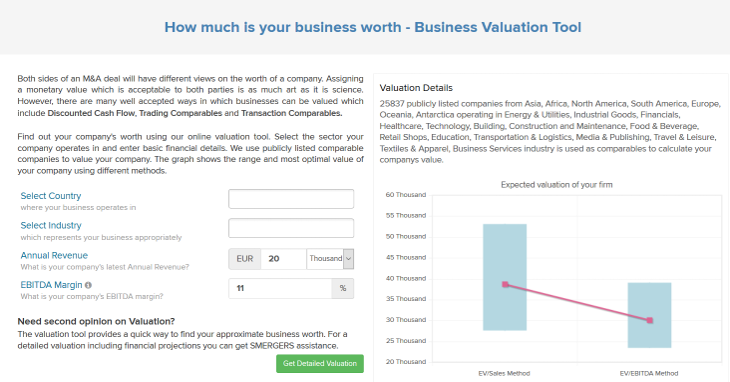 Their website provides a simple business valuation calculator, that requires only a few inputs. The results appear next to the input fields, so the calculator is very quick to use. On the other hand, the calculator lacks many inputs that affect the valuation, so the result will be prone to error. 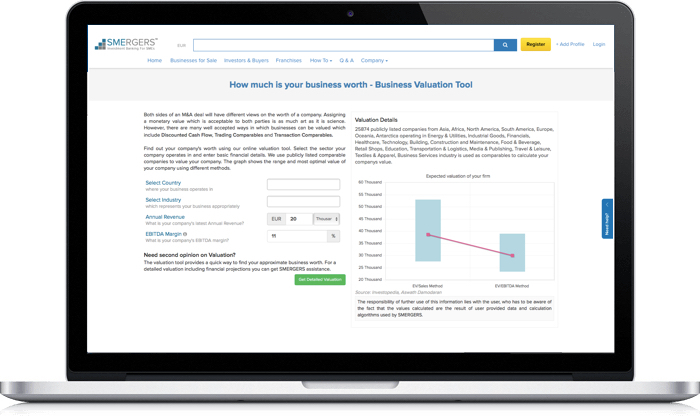 Smergers also offers more detailed valuation services upon request. The calculator is very easy and quick to use. 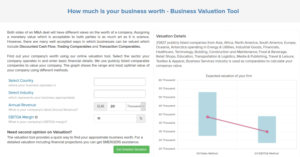 The calculator, though, lacks relevant inputs to calculate more precise valuations.